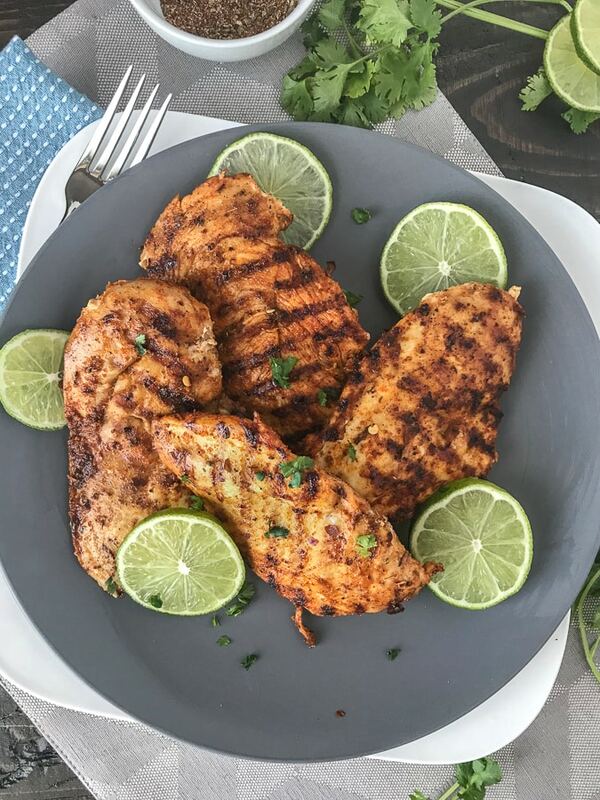 Grilled Cajun Lime Chicken – juicy, tender and flavorful chicken that is super easy to make and can be on your table in under 15 minutes! 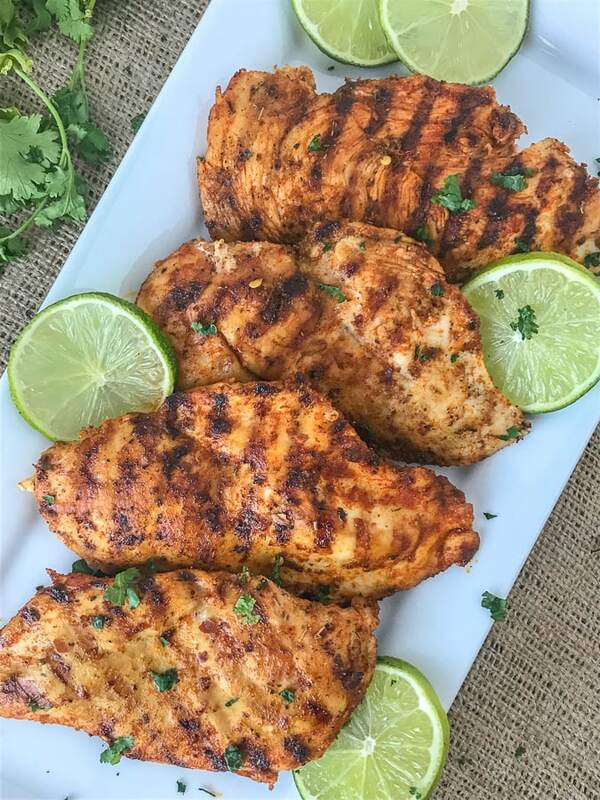 And can you really go wrong with a delicious slice of chicken that is under 200 calories?? Being that we prefer to eat on the healthier side in this house, we tend to eat a lot of chicken. And when I say a lot of chicken… I mean a lot. 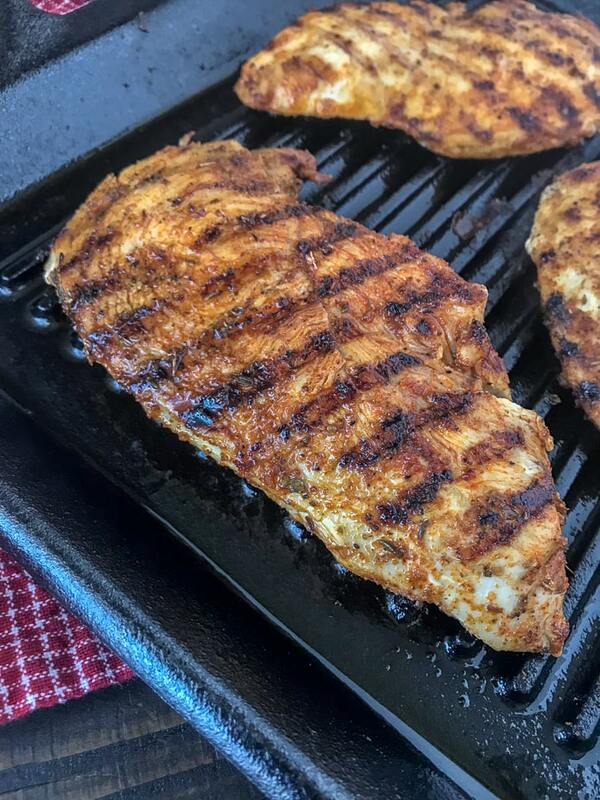 So I am always looking for ways to “spice” things up a bit to keep the basic chicken and vegetable meals from getting too boring. Pun was fully intended there. Get used to it – I’m cheesy. The wonderful thing about this recipe is that you can use chicken breast, thighs, legs, or tenders. Just be sure to adjust the time when cooking. This recipe calls for thinly sliced chicken breast, so it will cook more quickly. Thicker cuts will take a bit longer. Make sure the internal temperature reaches 165 degrees F.
Another wonderful thing? This chicken does not need any marinading! I won’t lie – marinading never hurts anything in my honest opinion. But it’s nice to have recipes that you don’t need to put too much thought into them! Simple Recipes Make the Best Recipes! And this recipe is just that! Simple. Doesn’t get much better than that, now does it?? Being that it is still wintertime here in Michigan – I prefer to stay cozied up inside where it’s dry and warm. It’s technically spring, but the winter weather doesn’t seem to want to leave! I believe it’s snowing as I type this. Blasphemy! Alas, I will continue to grill my food indoors on my Lodge Cast Iron Grill Pan indoors until the weather makes some form of improvement! 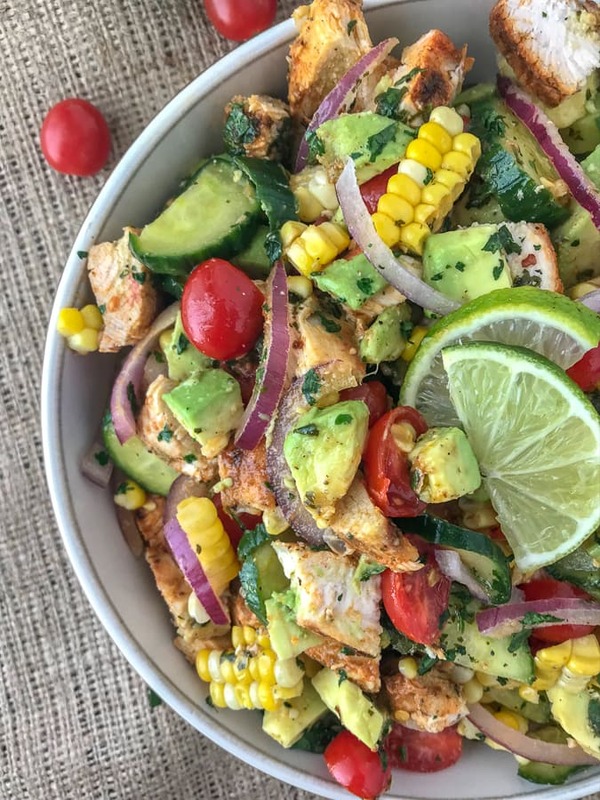 This Grilled Cajun Lime Chicken recipe also a key ingredient to my Cajun Lime Chicken Avocado Corn Salad! Give it a try for your next picnic or barbecue! 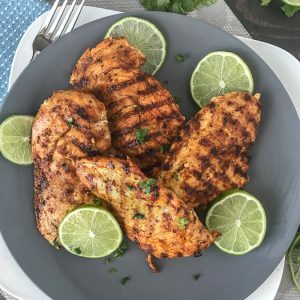 Grilled Cajun Lime Chicken - juicy, tender and flavorful chicken that is super easy to make and can be on your table in under 15 minutes! 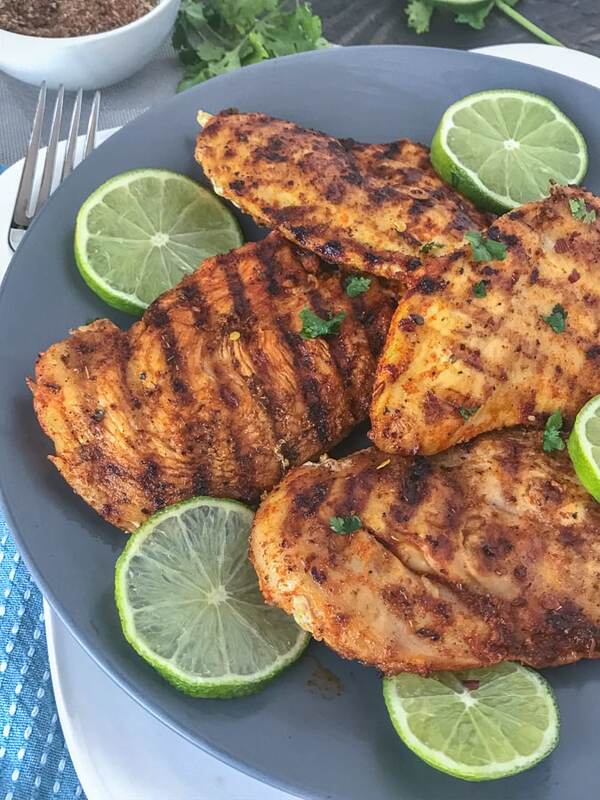 And can you really go wrong with a delicious slice of chicken that is under 200 calories?? Preheat a nonstick griddle pan over medium heat with 1 tablespoon of olive oil. Be sure to brush the olive oil to coat the entire pan. Remove chicken from package. Rinse and pat dry. Combine all seasonings and 1 tablespoon of olive oil into a mixing bowl (or Ziploc bag). Add the chicken breast and toss to coat. 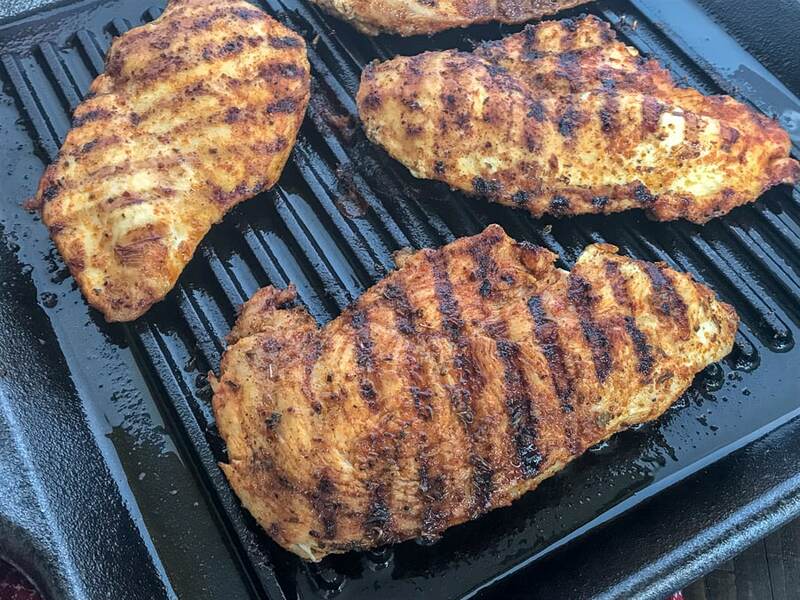 Once the grill pan is heated, at the chicken breast and cook on each side approximately 3-4 minutes, flipping once. Time will be dependent on the thickness of the chicken breast. Remove from heat. Serve with and extra squeeze of lime juice and your favorite side dish. I love these recipes. Especially when I am trying to eat healthier. I’m so glad! Thank you, Adrienne!